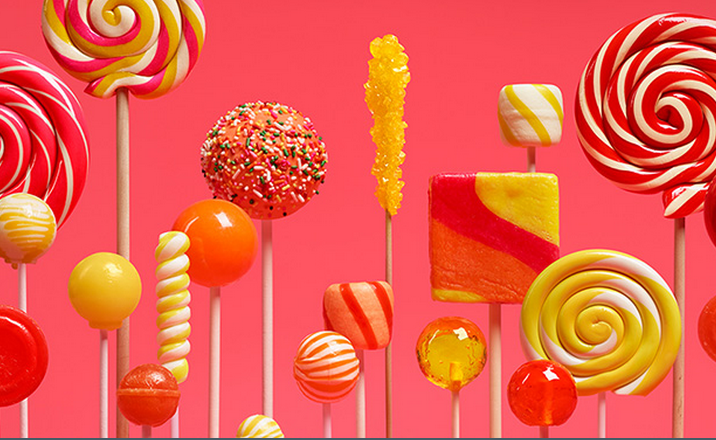 Android 5.0 "Lollipop" is the latest version of the Android mobile operating system developed by Google. Unveiled on June 25, 2014 during Google I/O, it became available through official over-the-air (OTA) updates on November 12, 2014 for Nexus and some Google Play edition devices that run distributions of Android serviced by Google. Its source code was made available on November 3, 2014. One of the most prominent changes in the Lollipop release is a redesigned user interface built around a design language referred to as "material design". Other changes include improvements to the notifications, which can be accessed from the lockscreen and displayed within applications as top-of-the-screen banners. Google also made internal changes to the platform, with the Android Runtime (ART) officially replacing Dalvik for improved application performance, and with changes intended to improve and optimize battery usage, known internally as Project Volta. Lets check the reviews of this latest Android version by the top reviewing communities. Marques K. Brownlee, also known by his stage name MKBHD, is a video producer, host, tech-reviewer and Internet personality, best known for his technology-based YouTube channel, MKBHD. Lets see what Marques has got in his highest rated review for Android Lollipop. PhoneBuff is a show dedicated to product-based video coverage. These guys specialise in mobile technology, providing exclusive content covering everything from smartphones and tablets to apps and accessories. PhoneBuff has a subscriber base of 400,000+ and have delivered over 75 million views on YouTube. Lets watch the Android Lollipop's review by Phonebuff. Droid Life is considered to have the greatest Android community in the world. They talk general news, feature apps, review phones, and even teach you how to hack a little. Here is what Droid Life has to say about Android Lollipop. Android Authority is an independent online publication that is a voice for the world of Android & technology. Each and every month they reach over 15 million passionate technology enthusiasts that rely on them for news, reviews, features & product recommendations. Phandroid is the FIRST independent website dedicated to delivering Android news. On November 5th, 2007, rumors of the gPhone were put to rest as Google announced Android. By announcing a mobile platform instead of a manufactured handset, Google officially begun a mobile revolution. On November 6th, 2007, Wired.com reported that “Android Already Has Phandroids“, making phandroid.com the first documented website reporting exclusively on Android news. Now, that you have gone through the reviews, check out these top android applications that you should have on your android phone.